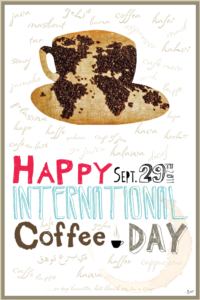 Home / Promotions / Saturday September 29 is International Coffee Day!! Saturday September 29 is International Coffee Day!! You may not know this, but on Saturday September 29, Canada, as well as the United States, Ethiopia, Malaysia and Great Britain will celebrate International Coffee Day!! Other countries also celebrate this auspicious event, but on different dates. For many coffee producing countries, this is a very important day, yet we barely know of it here. This day is often used to heighten public awareness about the advantages of buying Fair Trade Organic coffee, a small choice for us that makes a big difference in the wellbeing of independent coffee growers and their workers, not to mention the beneficial effect it has on the environment. Try one. Celebrate this Saturday by drinking the best coffee!! 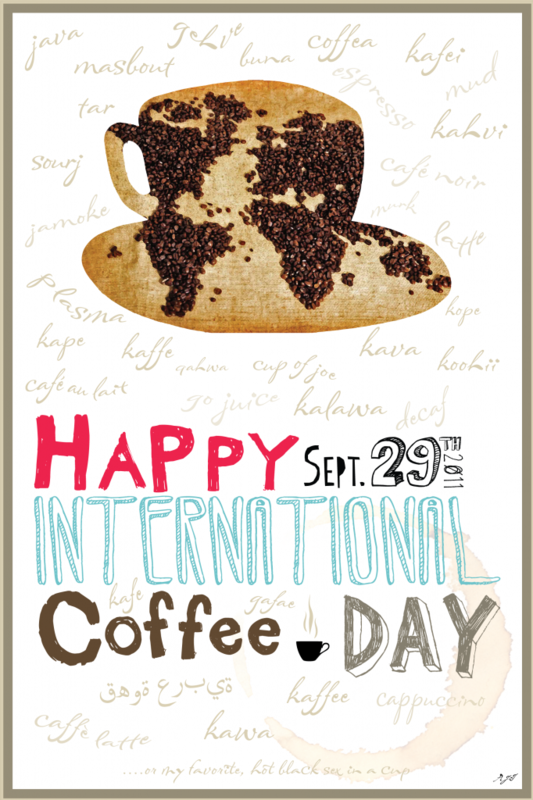 We here at Café-Direct.ca are wishing everyone a great International Coffee Day! !